(a) The L position of the left/right adjustment switch: Measure the resistance according to the value(s) in the table below. (b) The R position of the left/right adjustment switch: Measure the resistance according to the value(s) in the table below. 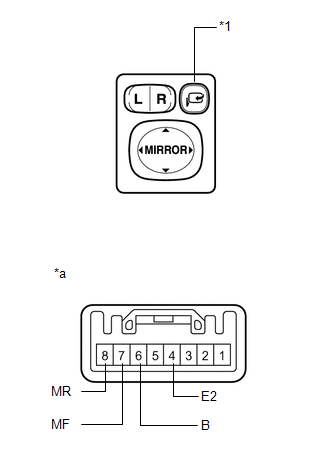 (a) Check the switch functions. 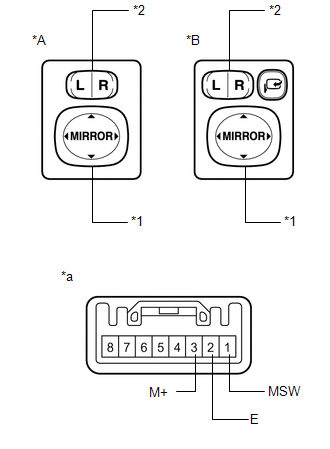 If the result is not as specified, replace the outer mirror switch assembly. 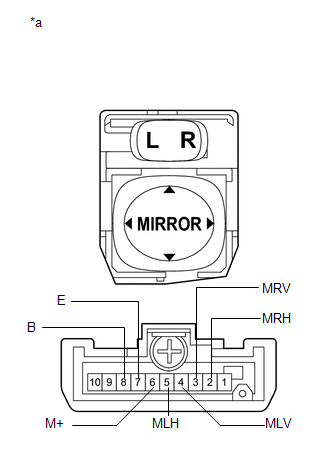 (b) Check the mirror retract switch.